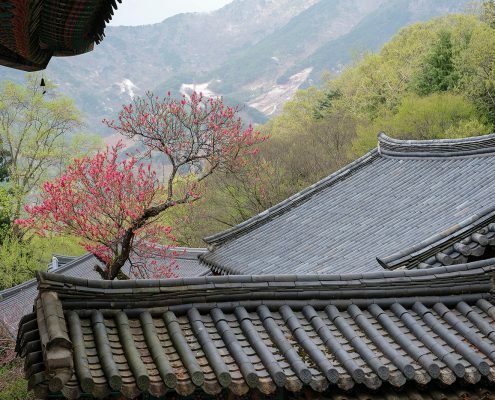 Azaleas, cherry blossoms and colorful hanbok, Changdeokgung Palace. Photo by Robert Koehler of SEOUL. 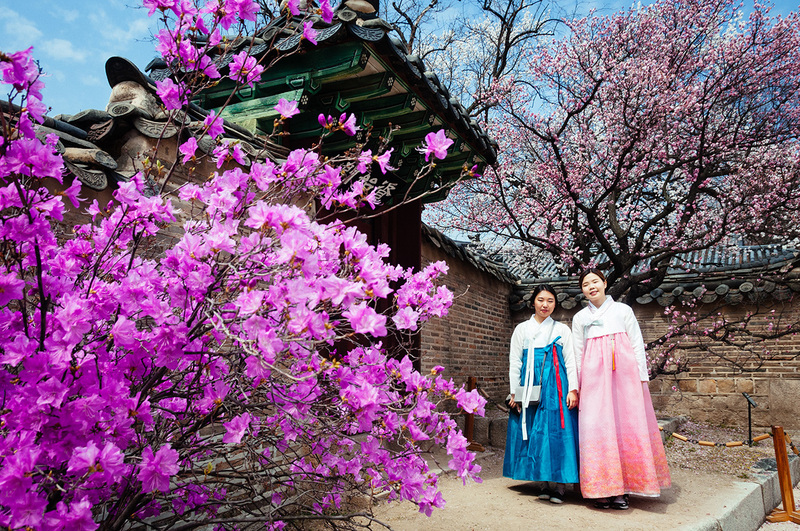 Visitors wearing colorful hanbok at Gyeongbokgung Palace. Photo by Robert Koehler of SEOUL. Just another day in Bukchon. 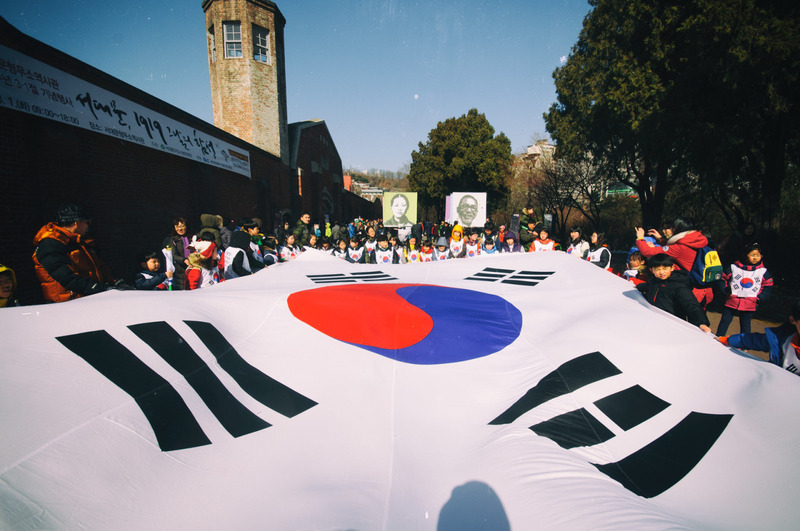 Korean flag at Seodaemun Prison History Museum on the March 1 Independence Movement holiday. Bukchon Hanok Village in the snow. Photo by Robert Koehler of SEOUL. Entrance to Incheon's Chinatown. Photo by Robert Koehler. Ice skating rink behind the iconic Peace Gate of Olympic Park. Gwangjang Market, one of the best places in Seoul to score street food. 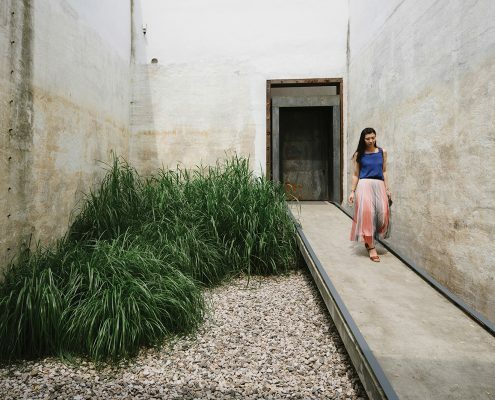 Photo by Robert Koehler. Staircase of Zaha Hadid’s Dongdaemun Design Plaza.